The cutest part is that she stares up at you all day! Well, at least when you’re standing. 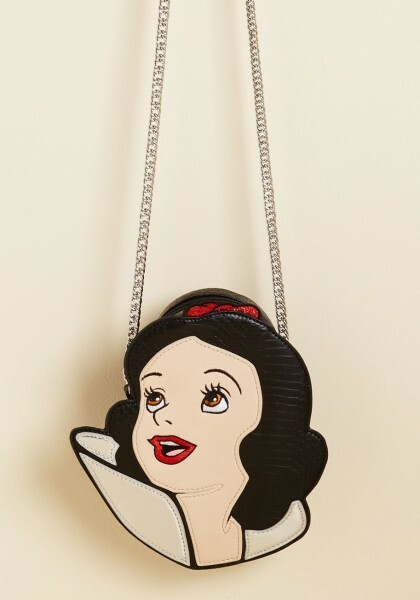 This fun and funky Snow White Handbag is our new oh-my-gosh, gotta have it thing. It’s perfect for cell phones, keys, lipstick, tiny mirrors, and poison-free apples. Plus, get a Free Tote Bag and Scarf at Mod Cloth with every purchase over $150 while supplies last! That’s pretty, it would be adorable with a Snow White Disneybound.